Cristiano Ronaldo has been charged with improper conduct by UEFA after his crotch-grabbing celebration in a Champions League match last week. The second-leg tie between Juventus and Atletico Madrid saw Ronaldo bring the Italian side back from the brink of defeat via a stunning hattrick. After scoring, Ronaldo was seen thrusting his hips forward and grabbing his crotch, a gesture that was likely mocking the Atletico Madrid manager Diego Simeone. But the way in which he did so has not sat well with the Champions League organisers, UEFA, who have charged the player with improper conduct. 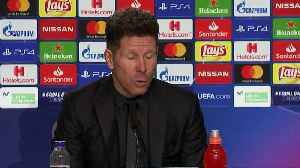 Simeone explained to Sky Sports: &quot;It means we have balls, a lot of balls. 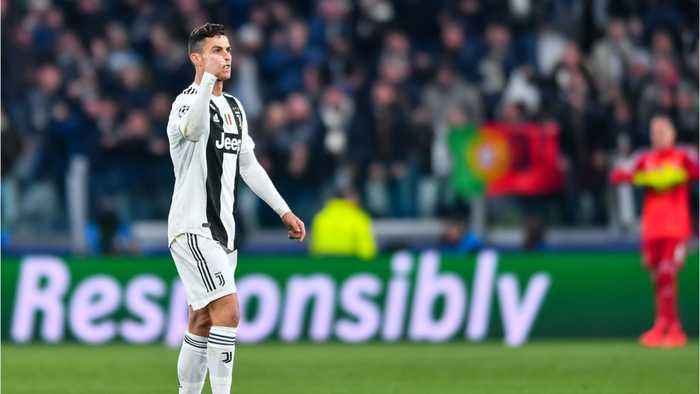 Cristiano Ronaldo is facing disciplinary action after his "cojones" celebration in Juventus' 3-0 win against Atletico Madrid in the Champions League. According to CNN, Ronaldo appeared to mimic..
Atletico Madrid manager Diego Simeone explained his unusual crotch-grabbing celebration after his side scored a goal in their 2-0 win over Juventus.